WEA Signature Care expatriate medical insurance is a major international medical insurance policy. Not only does the WEA Signature Care insurance covers medical insurance but also the very important emergency medical evacuation that all expatriates must have when living outside their country of residence. 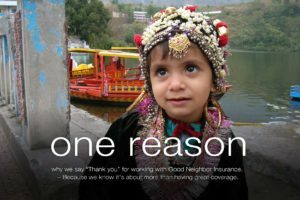 Below are some great questions and answers that explain more about the WEA Signature Care Insurance. You may also view our WEA expatriate insurance here at https://www.gninsurance.com/wea-signature/. Question: What does it mean wellness of a child under 19 up to U$200, and the deductible is waived? I understand that it can be applied only after 12 months. If the doctor asks for basic blood tests is it included? Answer: Wellness means, check-ups and immunizations for children. Routine tests that are normal would be covered. However, usually for children, blood tests are only ordered for a suspected illness. In that case, the doctor visit and any tests would apply to the deductible and then covered 100% once the deductible is met. The deductible is an annual deductible not a per illness deductible. Question: When it says 100% prescription medication is covered, is it only under hospitalization and all that is included in this procedure? Or other kinds of prescriptions are also covered? Answer: Doctor ordered prescriptions for medical conditions are covered. Again, the deductible has to be met before there would be reimbursement. Question: What does it mean by Outpatient Physician visit? For example, if one of us feels sick with fever and needs to see a doctor is this consultation covered? Answer: Yes, it is covered. Everything but wellness and medical evacuation is subject to the deductible. Meaning, visits, prescriptions etc are not reimbursable until the deductible for the policy year has been satisfied. The deductible is per person. However, should you all become seriously ill in the same policy year, the maximum number of deductibles that your family would be responsible for would be 2 (two). Question: Now regarding pre-existing condition: I understood in this plan we will need to fill a form. My husband has had surgery at different times in his life. We like to see a specialist when we are overseas to check that everything is ok. Do you think that after the 30 days period a consultation related to this pre-existing condition will be possible? Answer: This would be determined during the underwriting process. They could possible exclude this particular condition for your husband. You would know before the policy went into effect. Question: What about the additional riders you might choose (I also did not find a description), what does the travel assistance cover? Answer: The travel assistance rider would provide benefits for the first 30 days you are away from your country of residence. The other add-on rider is Life Insurance for the primary person on the policy.